Today we come to the end of our Spring Clean You Website series, and we hope you’ve found some of our tips and advice helpful. To quickly recap, in week one we told you how you could fine-tune the engine of your website to help it run at peak performance. In week two we gave you some insights into how you can find some gems hidden in Google analytics. And last week we gave you a comprehensive list and some neat tricks to test your website. This week, we want to step away from the technical and talk about who your website was built to impress. Your customers. So, let’s pretend like you’re getting ready for an awkward blind date, and make sure your website makes the best first impression it possibly can. When you’re preparing for a first date, you often stare into the mirror and notice all your imperfections wondering what your date will think of you. This week we want you to take a good look at your website and wonder what first impression your customer will have. If you’re nervous, or just don’t think you can be objective, find a colleague, friend or family member who will be. Does the website help new customers understand what you can do for them? Are your products and/or services upfront and clear? Can your customer easily find out more about you and your team? How quickly can they contact you or ask for information? Is the content recent? News, events and blogs date quickly. Make a list of new things to add. How current is your about page? Is that still a good impression of who/what your business is? Is the site easy to read and navigate? (Check that no essential pages take more than 3-clicks to find). Does each page look like it belongs to the same website? Are your colours and logos consistent throughout the site? Update your main images (don’t forget to add alt attributes). We recommend updating your homepage at least once a year to keep it fresh, and keep returning visitors coming back. After you’ve finished your review, you may either decide you love what you see, and everything’s working as it should be. But if you think you may not get asked out on a second date, perhaps time for a whole new look. 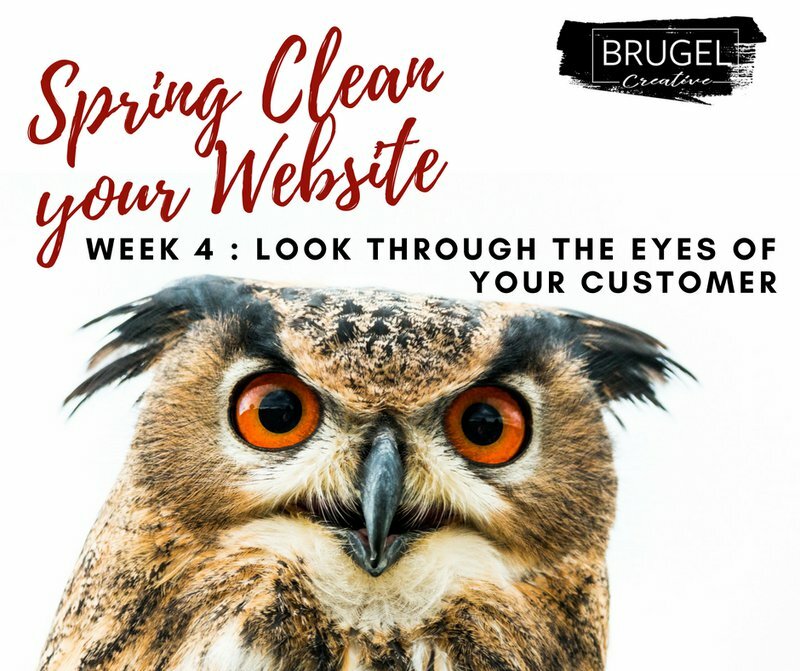 Here at Brugel Creative, we’re happy to help you out by either giving your current website an overhaul or helping you build a brand new one. You can take a look at our packages ranging from designing a new logo/brand to a whole new website. Get in contact today, and enjoy the rest of Spring!